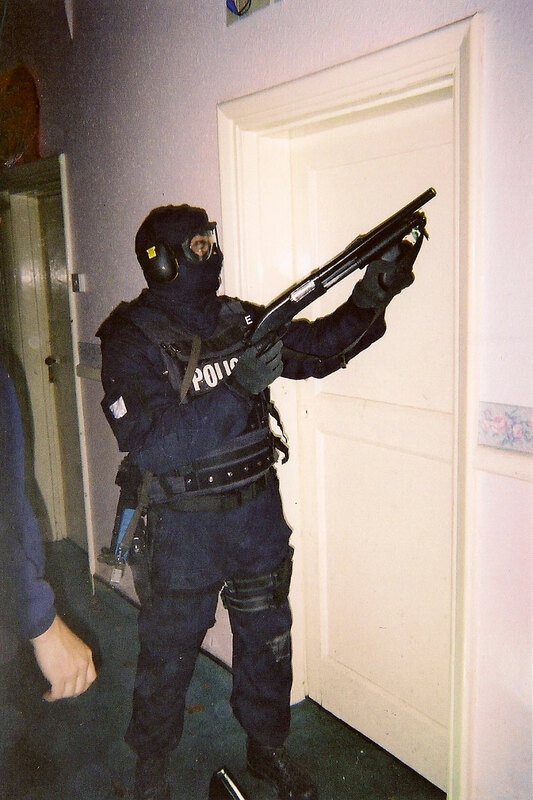 A Specialist Firearms Officer (SFO) from CO19 wields a Remington 870 12-guage shotgun loaded with Hatton breaching rounds. Hatton rounds fire frangible projectiles which are designed to shoot away locks and hinges from doors without passing through and harming anyone on the other side, as might happen if traditional buck shot was used. The SAS also used such rounds during counter terrorist operations.